These amazing new false eyelashes are naturally curled, look gorgeous but also feel weightless on your eyes, being both flexible and crimp resistant. 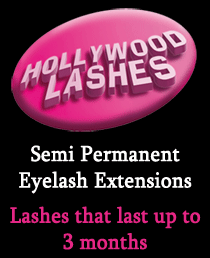 Once applied, Hollywood Lashes are water resistant, meaning your can shower, swim, sweat, cry and sleep without worry. These eyelash extensions will enhance your natural beauty, increase confidence and are ideally suited for weddings, parties, holidays and special occasions or wear as normal everyday wear. 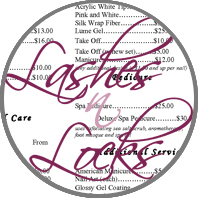 Mascara is not required with Hollywood Lashes, but if needs must, water based mascara can be applied, which can be purchased from Lashes 'n' Locks beauty studio. What makes Hollywood Lashes different to normal eyelash extensions is the lash is C shaped to emulate the natural lash. This means the lash does not have a "bobble" on the end and this lash fits snugly to your natural lash giving an even and natural appearance. The eyelash extension is attached to selected "healthy" donor lashes. Your natural lashes grow for 1 month then rest for 2 months before finally shedding. We don't attach fake eyelashes to "mature" eyelashes which have had their growth and most of their rest period as these lashes are nearly at the end of their lash cycle and could drop at any time. The adhesive used is a medical grade and is permanent, the lash extension will only come out when the natural lash falls at the end of its life. It is the combination of all of the above which makes our lashes last so long. A consultation of at least 24 - 48 hours prior to your application is strongly recommended for a "patch test. This is carried out at Lashes 'n' Locks studio and will ensure the application will give the best look for yourself, the procedure and aftercare can be explained at the same time. 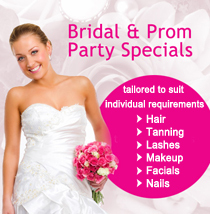 This appointment takes 1 - 2 hours and requires a non refundable deposit of £30.00 (payment by cash or cheque). After the procedure you will need to return to the Lashes 'n' Locks studio for infill procedures to keep your full lash look. 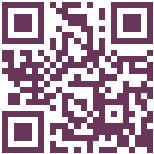 See our frequently asked questions for more details on False Eyelash Extensions in Hereford.